Developed by Tusk Trust in partnership with Investec Asset Management the Awards are an accolade in the truest sense. They recognise the unsung heroes of conservation, who are nominated by their peers without their prior knowledge, in recognition of their outstanding and inspirational efforts to conserve Africa’s natural heritage. The acclaimed panel of judges assesses each nominee’s contribution towards any or all of the following areas: wildlife and habitat conservation, development and delivery of environmental education, and sustainable community development programmes designed to enhance conservation. The Prince William Award for Conservation in Africa: A lifetime achievement award, which recognises outstanding dedication and exceptional contribution to conservation in Africa. This award is sponsored by Investec Asset Management. 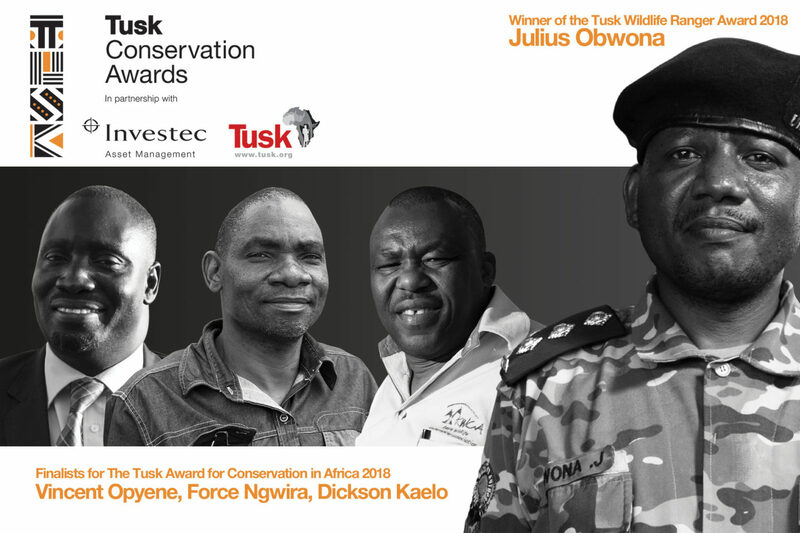 The Tusk Award for Conservation in Africa: This award is for an individual who has been judged to be emerging as a leading conservationist and in recognition of their outstanding contribution to conservation and considerable success shown in their chosen field. This award is sponsored by Land Rover. The Tusk Wildlife Ranger Award: This award is to give international recognition to the men and women who work in the field protecting wildlife in Africa on a daily basis. The award is generously sponsored by a private individual. The Tusk Conservation Awards are made possible through the generous support of the co-sponsors Land Rover, ISPS Handa Foundation, The Mantis Group, Moët & Chandon and Spectrecom Films.